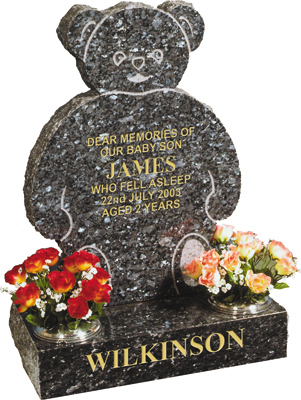 Teddy shaped memorial illustrated in blue pearl granite. The headstone has a polished face, sanded back and rustic edges. The base has a polished top and front with rustic sides. Also popular in bohus pink granite and Italian white marble.